Welcome to China Restaurant Of Albert Lea web site! We have built an excellent reputation of providing a dining experience that pleases all the senses. Our strict commitment to quality translates into the highest standards for Chinese food, service, atmosphere and value. China Restaurant Of Albert Lea is synonymous with great Chinese food. Our extensive menu selections are prepared with only the freshest ingredients. Our meals are tasty, well presented and reasonably priced. We want the quality of our Chinese food, our friendly service and reasonable prices to keep you coming back for more! 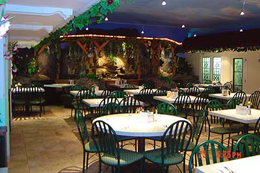 Experience the most unique atmosphere in Southern Minnesota and its surrounding area offering a beautiful courtyard design, accented with the elegance of China and including a bountiful waterfall for your dining pleasure. Come by, call or email us for more information. We look forward to serving you.